Since 1958, Youth Symphony of Kansas City has provided high-quality music making opportunity to young musicians throughout the region. This season, we ask you to join us in honoring a very special friend who has meant so much to the Youth Symphony throughout its history. 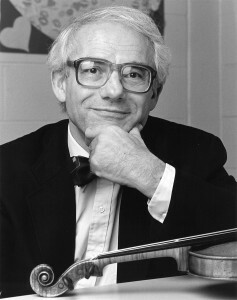 Tiberius Klausner began teaching violin in Kansas City in 1955 — just a few years before the founding of the Youth Symphony. 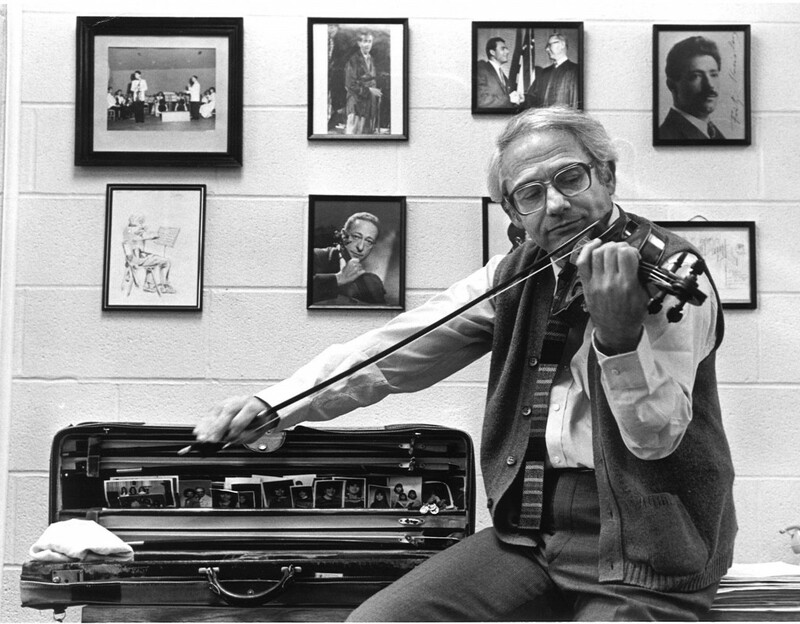 In each decade since Tiberius came to Kansas City, he has inspired and educated generations of violinists, many of whom have been a part of the Youth Symphony family. A number of Tiberius’ students once served as concertmaster in Youth Symphony and many have continued to pursue music professionally in orchestras and as educators across the globe. In honor of Tiberius’ profound impact on the Youth Symphony, we are establishing an endowed chair that shall bear his name in perpetuity — the Tiberius Klausner Endowed Concertmaster Chair. This honor aims to serve as a lasting tribute to Tiberius and to bring attention to the hundreds of students and countless others who have been inspired through his musical gifts. Funds raised will be used for scholarship needs to assist those students who possess the talent but whose families lack the financial means to participate in Youth Symphony, an ongoing need that is near and dear to Tiberius’ heart. Listed are contributions made through October 1, 2015. Please join us in celebrating Tiberius’ legacy with a special gift in his honor today. Make your gift online or call Executive Director Steven Murray at 816-897-0577. Please Note: Contributions to the Youth Symphony’s endowed funds are used according to the Investment Spending Policy in place, which is limited to usage of the interest earned.